There’s been a big change in the weather. The ground is drying out and the temperatures seem warmer than usual. We’re a few degrees colder than the city however, as we experience valley conditions, but it looks like the frost and cold nights are over for the winter season. With the lengthening days, there’s time now to get out into the garden in the evenings. Weeds seem to grow overnight and it’s best to pull them out before they go to seed. It’s quite therapeutic weeding a small patch each night! When planting a garden bed after winter, it’s important to aerate the soil. This is best done with a fork. 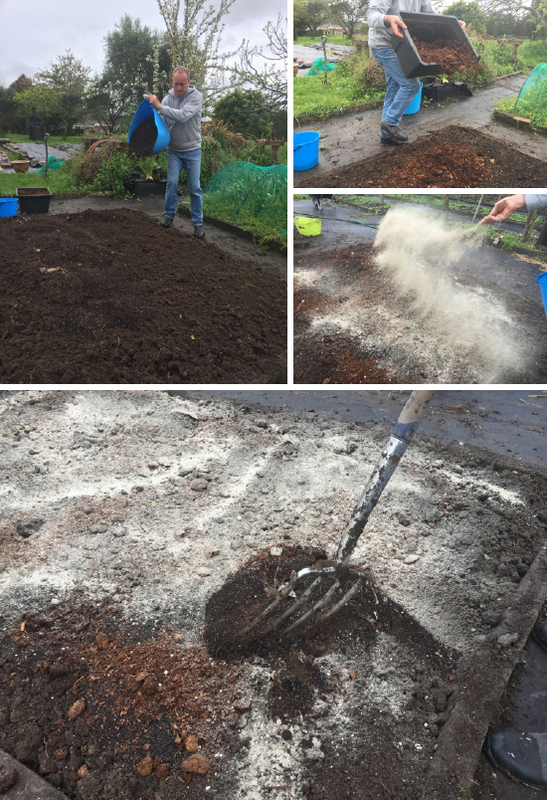 If the ground has compacted (as it does after lots of rain), add a good amount of organic material. Compost (especially home-made compost) is best. A dressing of volcanic rock dust and some animal manures are a great addition. They’re good for soil structure and put nutrients back into the soil. Heavy winter feeders like broccoli and kale take a lot out during their growing season. 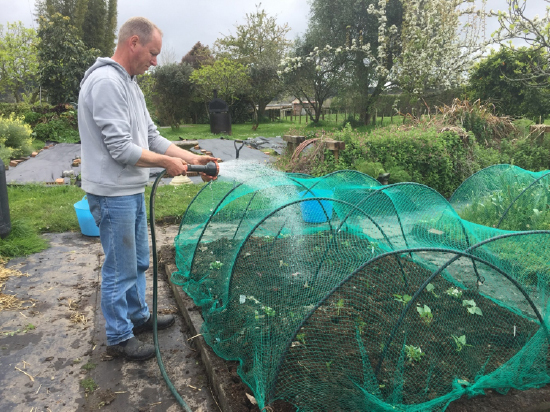 As a general rule, we like to wait till the end of April for planting out the heat-loving crops. But there are a lot of vegetables that can be planted now. 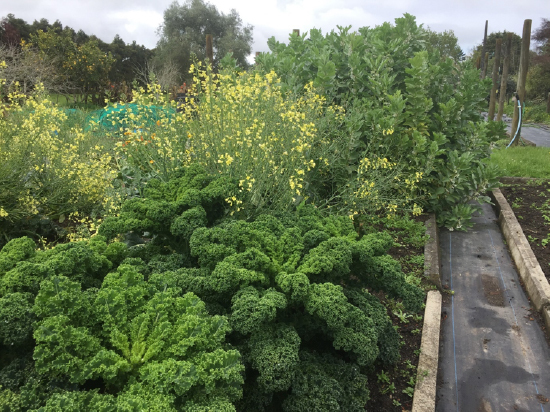 We’ve just planted out one bed with crops that take about the same time to mature. They’ll be ready in about 6-8 weeks and we can then replace them with cucumbers. 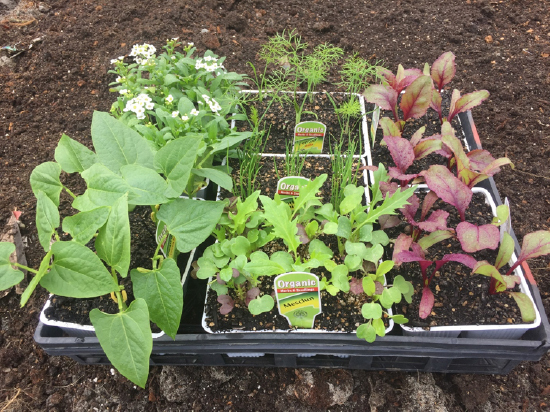 As we’re planting several different vegetables in this one bed, we’ve chosen crops that like the same conditions – in this case, ones that don’t require too much nitrogen. They include beetroot and fennel, and beans which have the ability to fix their own nitrogen. We’ve added some mesclun greens, spring onions and a few alyssum plants for feeding our beneficial insects. When planting in spring, remember little and often, rather than a whole lot at once. Where we are, there’s a good 5 months of planting time and all our crops can be staggered so we have a constant supply of food until autumn. 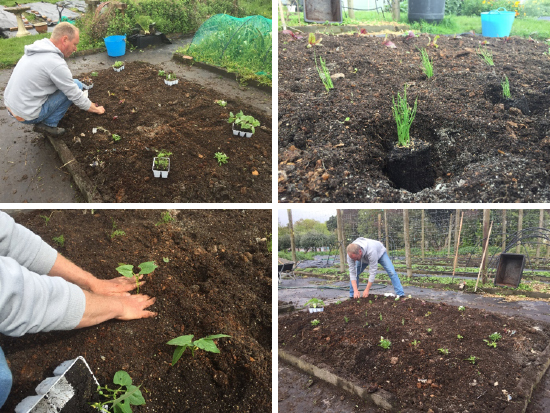 We’ll plant zucchinis 4 times over the summer months, rather than have a glut or even worse, marrows. And lastly, mulching is the answer to keeping crops strong and healthy over the warmer months. Plants don’t like the soil drying out. They become stressed, and our very important earthworms head deeper for cooler conditions. 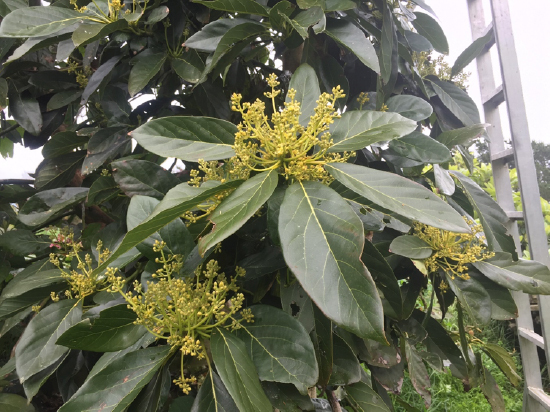 (Avocado flowers setting while we’re still picking the last of the fruit).